Google CEO Larry Page has explained the company's somewhat surprising decision to sell Motorola to Chinese manufacturer Lenovo in a deal worth $2.91 (around £1.8bn). In an official blog post, Page admitted Google was unable to devote all of its attention to reinvigorating Motorola, alongside its other commitments within the Android ecosystem. The CEO said Motorola will be better off with Lenovo in the competitive smartphone hardware world, while Google will focus on improving the Android experience for all manufacturers. Backing Lenovo to restore Moto's place among the Android elite, Page wrote: "But the smartphone market is super competitive, and to thrive it helps to be all-in when it comes to making mobile devices. It's why we believe that Motorola will be better served by Lenovo - which has a rapidly growing smartphone business and is the largest (and fastest-growing) PC manufacturer in the world. "This move will enable Google to devote our energy to driving innovation across the Android ecosystem, for the benefit of smartphone users everywhere." On paper, the deal represents a huge loss for Google, which paid $12.5 billion for Motorola in 2012. However the retention of Motorola's vast mobile patent portfolio is worth its weight in gold, Page said. "And on the intellectual property side, Motorola's patents have helped create a level playing field, which is good news for all Android's users and partners." Page also pre-empted any suggestion that the sale could mean Google is rethinking its hardware strategy in other areas and reaffirmed the company's commitment to creating great products. He added: "As a side note, this does not signal a larger shift for our other hardware efforts. The dynamics and maturity of the wearable and home markets, for example, are very different from that of the mobile industry. We're excited by the opportunities to build amazing new products for users within these emerging ecosystems." 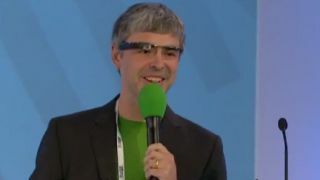 The Google boss also paid tribute to Motorola's efforts in the 19 months since Motorola officially came under Google's stewardship. He wrote: "We acquired Motorola in 2012 to help supercharge the Android ecosystem by creating a stronger patent portfolio for Google and great smartphones for users. Over the past 19 months, Dennis Woodside and the Motorola team have done a tremendous job reinventing the company. "They've focused on building a smaller number of great (and great value) smartphones that consumers love. Both the Moto G and the Moto X are doing really well, and I'm very excited about the smartphone lineup for 2014. And on the intellectual property side, Motorola's patents have helped create a level playing field, which is good news for all Android's users and partners." Page added that Google's work with Motorola will continue until the deal is rubber stamped, adding that the approval process takes time. Lenovo answers a few questions about buying Motorola.